^ Currently Accredited Zoos and Aquariums. Association of Zoos and Aquariums. [2018-03-28]. ^ Chiang, Connie Y. Shaping the shoreline: fisheries and tourism on the Monterey coast. University of Washington Press. 2008. ISBN 9780295989778. OCLC 704517509. ^ Lokken, Dean. 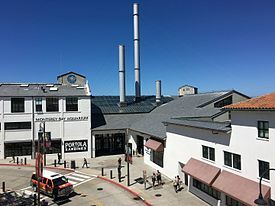 Monterey Bay Aquarium Awash in a Tide of Visitors. Los Angeles Times. 1985-08-25 [2017-10-14]. （原始内容存档于2015-10-21）.